Explore many mesmerizing destinations from Bangkok, Phuket, Krabi, Chiang Mai, Koh Samui and much more. 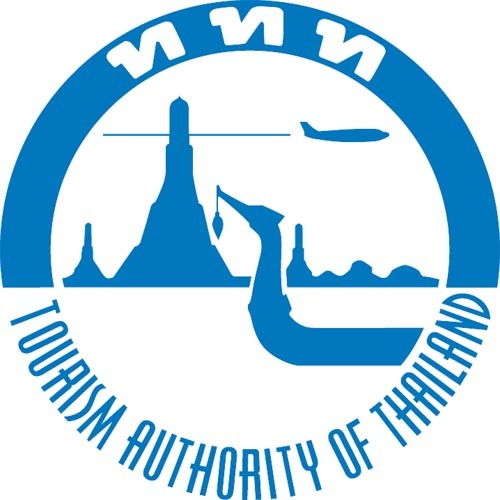 Our Thailand excursions and Thailand sightseeing tours offer you a plenty lists of activities and things to do in Thailand. From a sightseeing tour in the vibrant capital of Bangkok where temples and palace sit side by side with a local canal to an adventurous elephant trek in Chiangmai or a Phuket snorkeling tour in southern islands, our ranges of Thailand excursion tours will give you the best day out in Thailand. Choose your daytrips depart from Thailand’s major cities or on top of your holiday packages to complete your exceptional vacation! * A single supplement is a charge paid by a solo traveler because only one person is using a room or cabin. Pick up from hotel or airport in Bangkok. Depart for Damnoen Saduak floating market. 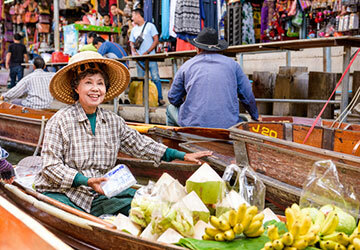 Take a long tail boat trip on the canals of Damnoen Saduak and visit its floating market. Visit Amphawa floating market. Lunch. Visit Baan Bang Plub village to enjoy the demonstration of sugar out of coconuts, bicycle tour to visit the village. Return to Bangkok. Copyright © 2016 Tropical Voyages. All Rights Reserved. Designed by Deescience.Asia.